MEI produces more than 600 types of Automatic Slack Adjuster as well as a wide range of our patented Self-Setting Automatic Slack Adjusters. 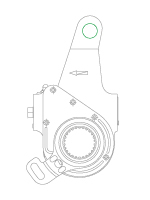 We also produce over 300 different Manual Slack Adjusters (MSA) meaning that the MEI range covers almost every global truck, trailer and bus application. 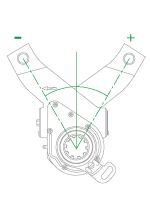 We have also introduced a value line of QAS Slack Adjusters. The QAS adjusters are manufactured and produced in the same factories as the premium OEM Adjusters and are assembled on the same production lines. The QAS range is suitable for users with less demanding duty environments or for those vehicles destined for replacement and not demanding the service life expectancy of the MEI range of ASAs. All MEI automatic and self-setting automatic slack adjusters can be found on this website either by using the menu on the left or by using the search function. The cast housing can be straight or offset. It can also be straight or inclined. 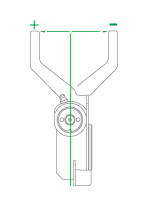 On both ASA and S-ASA the Anchor Point type will be Quick-Fit, Peg Bolt, or Anchor Pin. The number of teeth on the worm wheel which mates with the camshaft can be counted. 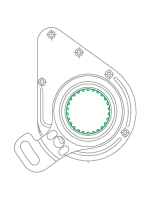 The clevis bush internal diameter (ID) can be measured. 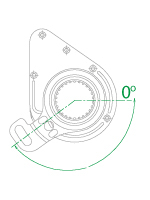 The distance from the centre of the wormwheel to the centre of the clevis hole can be checked. 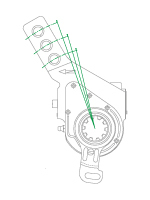 * For S-ASA this is Not Applicable as the control arm will work from any position within the working arc of the control arm.